The 2017 edition of Apple iPhone will mark the 10th anniversary, and Apple is planning to revamp the device completely, as per various speculations. 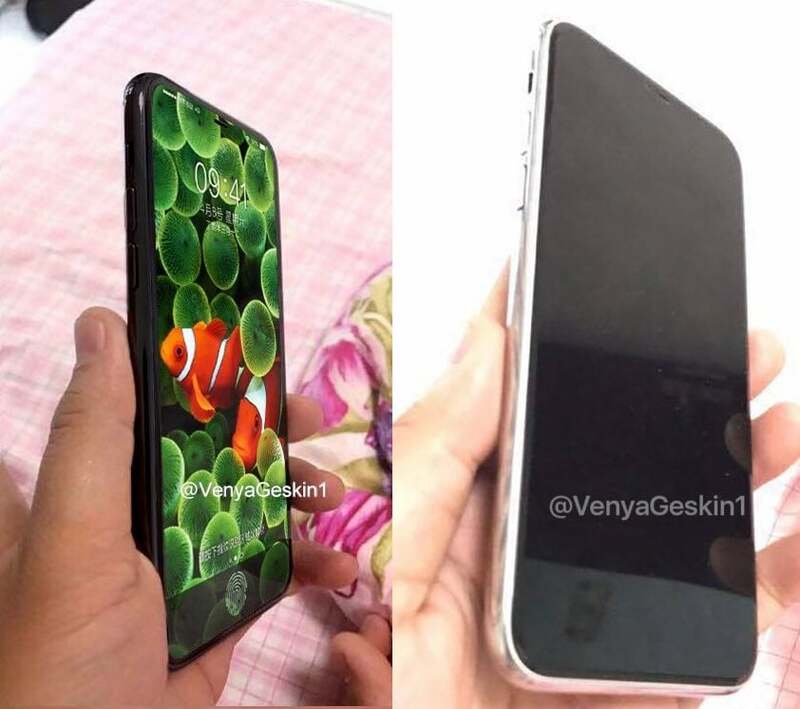 Benjamin Geskin, one of the popular designers recently leaked photos of the dummy iPhone 8 or to be precise a CNC machined model of the Apple iPhone 8. The device in the picture looks almost real, and rumours claim that Apple is looking to go back to the glass bodied design, which they left with the iPhone 4s. The Apple iPhone 8, as per Benjamin, will come with glass on both the front and back with both the sides being 2.5D curved. A steel frame goes through the corners of the phone. The device in the phone has just 4mm bezels and is expected to have 98 percent screen-to-body ratio. As seen in the images above, the phone does not have a Touch ID placed on the front, which means that it will be embedded into the display of the phone, much like what Samsung initially planned to do with the Galaxy S8 series. The phone also looks a bit thinner than the current generation iPhones, but the designer claims that the device will measure same as the iPhone 7. He further claimed that the phone would feature dual cameras on both front and rear side of the phone, which was rumoured earlier as well. While the images posted by Benjamin are in-line with some rumours, a recently posted schematics of the iPhone 8 showed us something different on board. The CAD designs revealed that the phone would have a rear-mounted fingerprint scanner, which leads us to slight bothering. Other speculations claim that the Cupertino giant is planning to release three models of the iPhone 8- the standard iPhone 8, the iPhone 8 Plus, and a premium iPhone 8 Pro with smart connector pin to connect various accessories such as the keyboard, etc. Some rumours even claim that Apple might release a mid-life upgrade to iPhone 7 in the form of iPhone 7s and 7s Plus, and will announce a major update in the form of Apple iPhone 8. Whatever appeared till date are just rumours, and it will continue for the next few days or even months as well. Apple will announce its next-generation iPhone in September 2017. Well nobody cares. iTards didn’t care when they were getting substandard devices for a premium price anyway. They didn’t care when apple copied android all the time as well. Why would they start to care about its performance or specs now? They just need to flaunt its logo even if the phone is crap. Why there is no source link?